Using a slabs of Matzo to fit your baking sheet completely, lay them on to of the paper. Melt 250gms butter add 1 cup soft brown sugar and stir till sugar is dissolved! Pour over matzah which is on baking paper on baking trays place in 350C (180C) oven for 10-15 minutes and remove. 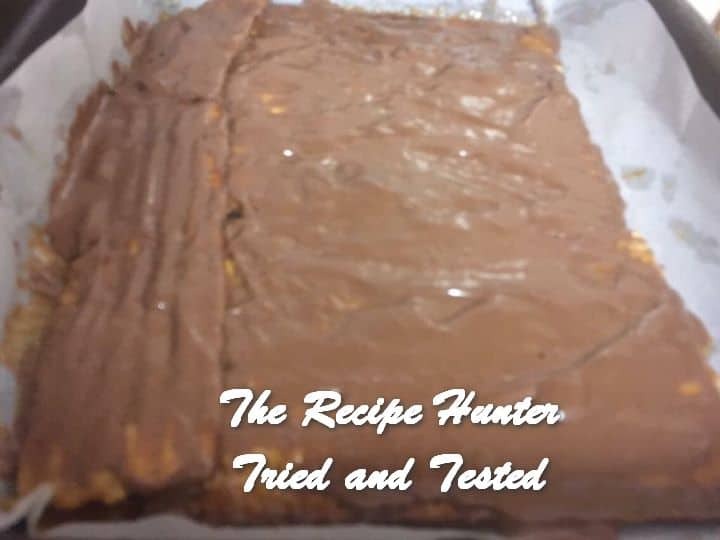 Sprinkle chocolate melts on top and when melted, spread with knife over the matzah/toffee and leave to cook then cut or break into desired sized pieces . I made approx 6 sheets plus some pieces to fill my trays and there were 3 trays! My oven is quite narrow so my pans are only about lammington tin size. That amount of toffee was plenty for all three. Only spread thinly before baking and be careful as the toffee can burn really quickly so watch it to prevent burning! Leave to cool after spreading chocolate!